Ride them, don't hide them . 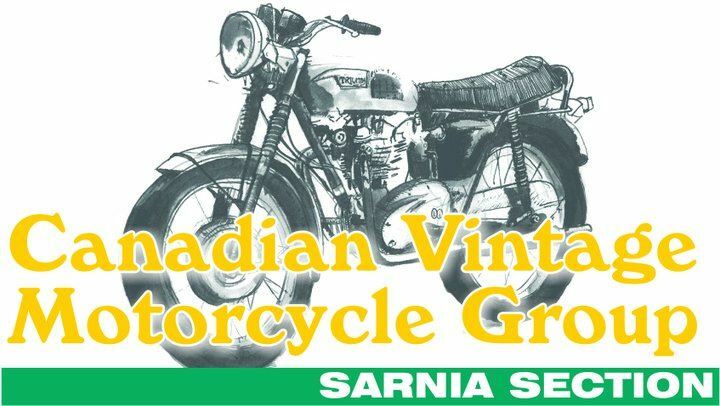 Sarnia is one of the older sections of the CVMG, dating back to 1980. Both Don Archer (Spike) and Grant Temple were members of the CVMG and wanted to start a chapter in Sarnia. They put fliers up at Dave Reiley’s and Ray Quinn's bike shops, placed some ads in the free section of place mats in local restaurants, ads in the Journal as well as word of mouth This would have been in the very late 70s. The first meeting was at the Ups and Downs restaurant upstairs and about 40 people showed up. For the first couple of years our meetings were held on Proctor St. in the basement of Don Archer's home with a usual attendance of up to 20 guys. We held our first Sarnia rally about 3 years later at Camp Saradaca in 1983 see photo of the Rally program booklet. Photo 2 shows an awards plaque made by Grant Temple for the 1986 Rally. When we were younger and healthier we entered Labour Day Parade float as well as the Annual Christmas parades with motorcycles riding around a flat-bed trailer holding about 20 bikes and Mall shows at the Lambton Mall (until insurance prices got out of hand). We attended rallies and camp-outs en masse for companionship, drinking and story telling, it was a good time back in “those good old days"
known as Tony's Cycle World. 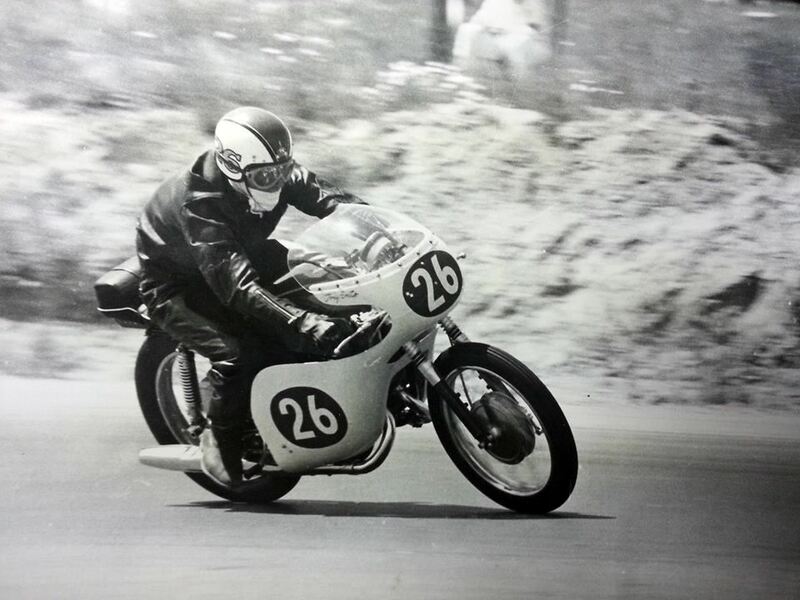 Tony was an early Sarnia CVMG member and a tough competitor in various forms of Off Road Racing, Road Racing to Enduros to Motocross, Mud Runs and Trials. when it was formed was our location to the US border. rallies for quite a few different clubs and cities. 503 Michigan Ave. in Point Edward. This year we will be organizing two major events. Sunday May 19: “Vintage & Fries” under the Bridges. Vintage and Classic Motorcycles on display from 11.00 until 3 pm. Enjoy the sights & sounds of one of Ontario’s prettiest villages. bikes in front and near The Albion Hotel on Main Street. From 11 am until around 3 pm. Wednesday of each Summer Month starting in May. various locations, followed by short bike rides. Sunday September 29 will have many of our members attend the "Distinguished Gentlemen's Ride" in Chatham in support of Prostate awareness and Men's Mental Health Research.